Speak No Evil About Presidents. So say most textbooks, journalists, commentators, and even some historians. Not in this book. An eye opening look at all the evil done by presidents, mass murder, incompetence, and terrorism, and a look at the noblest presidents also. -Two presidents ordered genocide, and another collaborated with genocide. -Four presidents ordered chemical warfare. One ordered atomic warfare. -Two presidents pardoned mass murderers, one a war criminal who murdered women and children, the other a terrorist who blew up a plane. -At least four presidents ignored genocide. In one case he could have saved up to over a million lives. -Two other presidents, besides Bush, ordered the mass torture of prisoners. -Two living presidents may face war crimes trials. -One president ran for office as the candidate for terrorists. -Two presidents were members of the KKK, one of them initiated in the White House. -One president was so incompetent, the White House was burned down by the enemy. -One president holds the record for the most invasions of Latin America. Two other presidents are the only ones in the last 120 years to not try to overthrow governments in Latin America. 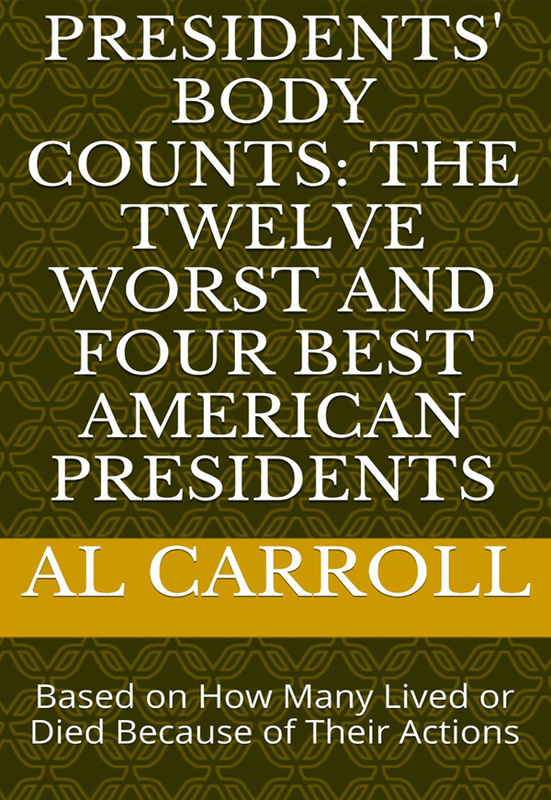 -Four presidents strongly despised by many were actually our greatest presidents. -America’s greatest president may have saved over a million lives. -America’s greatest ex-president saved even more lives than that. He also helped bring democracy to 25 nations. -America’s second greatest president headed off genocide, and prevented two wars. -For almost every evil president, there were far better men who might have won the election. -For almost every good president, there were also far worse men (and women) who could have won. The most insightful and damning expose of the presidency you will ever see. By a historian and professor, lively and not pulling any punches. You can purchase the book online from Smashwords in multiple eBook formats at http://www.smashwords.com/books/view/419159.